Packing is one of my favorite things to do when I’m getting ready for a trip. Not that packing itself is fun but you’re excited and anxious and it’s part of the fun of knowing in a short time you’ll be off to somewhere new! Unpacking is another story but let’s pretend that part doesn’t exist, shall we? I certainly do for weeks at a time after a trip……. I’ll kick this list off starting with my favorite bags. If you’re like me, you love a good deal. There’s nothing I hate more than seeing a great luggage piece only to turn over the price tag and be promptly shocked into death. $300 for a rolling piece of plastic? A piece of plastic I am going to beat the crap out of? A piece of plastic the airport employees are going to abuse worse than I do to the candy aisle the day after Halloween? Yeah, nope. In the words of the great Ariana Grande: thank u, next. I few years ago, I tentatively ventured into TJMaxx’s luggage section, cautiously optimistic. As a former employee of the great discount store, I was hopeful that my old friend would have something great for me. And that’s how I had my luggage “come-to-Ritz Carlton” moment (like a come-to-Jesus moment but better). I scored a large piece of rolling luggage (all 4 wheels!) for under $60. Oh yeah. You better believe I immediately eye-claimed that piece of luggage to everyone around me and promptly rolled it to the cashier line like a proud dog who just took his first poop outside. A few months later, I was in desperate need of a new rolling carry-on bag as I use a carry-on bag way more than I do a large, checked bag. I didn’t even bother checking out anything else and made my way directly to the local TJMaxx. Since TJMaxx isn’t like a normal retailer, I can’t link the exact bags I found but you can get an idea of some of their luggage offerings on their site here. Skimming over their site quickly, I still recommend you check out what they have in store as I think you may have even better luck. **ps. Beware the “smart” bags. You know those cool bags everyone brags about because it can charge your phone. First, they’re heavier and will limit the weight of the rest of your luggage. Second, some airlines won’t allow them as a carry-on and will force you to check it. Make sure if you do purchase one of these that you carefully check your airline’s regulations. Or you know, you could just live without a fully charged phone for a few hours…. 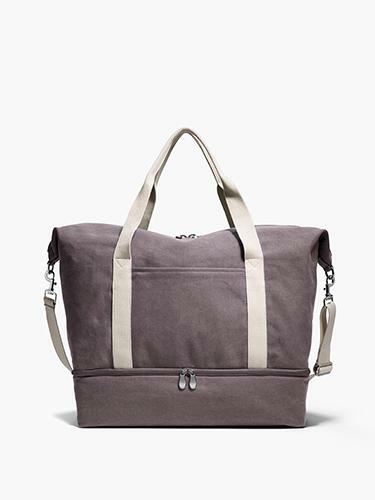 Speaking of bags, I love a good weekender bag and always have. I got one for Christmas a few years back and it’s still going strong, although it’s definitely nearing the end of its life. A few weeks ago, as if the internet heard my old bag’s cry for help, I saw an internet ad for a weekender bag. It was beautiful. It had a pocket with a zipper that could either remain a true pocket or be zipped open to go over your luggage handle. It also had a shoe compartment. A shoe compartment! No more carrying plastic bags and tightly wrapping my soiled shoes in them and placing them next to my clothes. No more bag flailing all around my carry-on luggage as I awkwardly make my way through the airport at 4am. I love this bag. I’ve tried it out on a few airline trips as well as a few long weekend getaways to my parents house. It’s just the best and I highly recommend it. Plus, it comes in a bunch of different colors! You can get yours here. Now let’s get to actually packing, shall we? First up, the famous packing cubes. Now, I’ll be honest here, I have mixed feelings on packing cubes. I think they’re great for a larger bag when it comes to carry-on luggage, I find their usefulness to be hit or miss. I’ll use them for things like my hair tools but not my clothes which I can maneuver better when they’re out of a bag. That being said, I love them for longer trips. They help keep me organized as I make my way from location to location. I got my set from here. I like this set because there’s tons of design options to choose from and their inexpensive which means they’re great to try out and see how you feel about packing cubes. I also am obsessed with my makeup bag. If you’re like me, you love you some high end makeup and I’m sorry, but my Bobbi Brown foundation deserves better than a cheap, plastic, unprotected makeup bag. I got you, Bobbi. 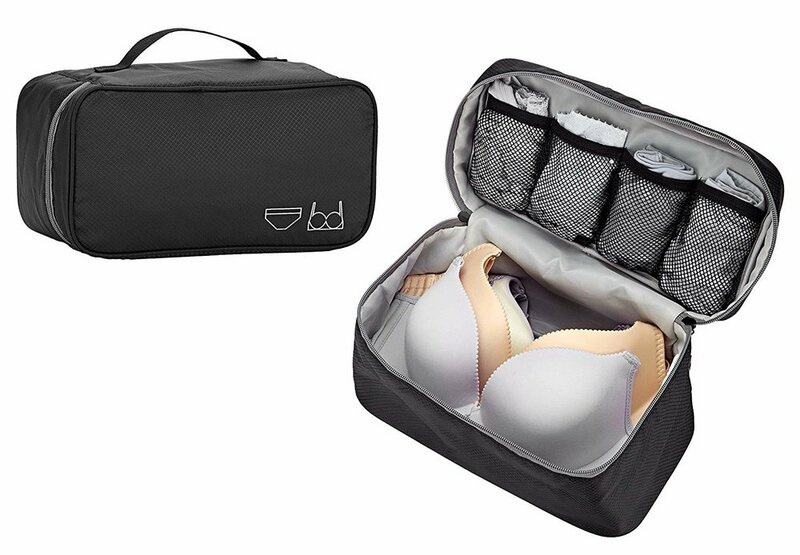 This bag is amazing because it’s slightly padded but not bulky and has separate compartments so not only can you organize your makeup by type but you know it’s being kept safe on your journey. No more broken Urban Decay eye shadow palattes! Hell, even my Elf palettes deserve it. And for those of you who travel without your makeup or with minimal makeup: can you please let me know how you do it? Thanks in advance. My last essential bag is my toiletry bag. It’s a Travel Check hanging back which I have been using for years. 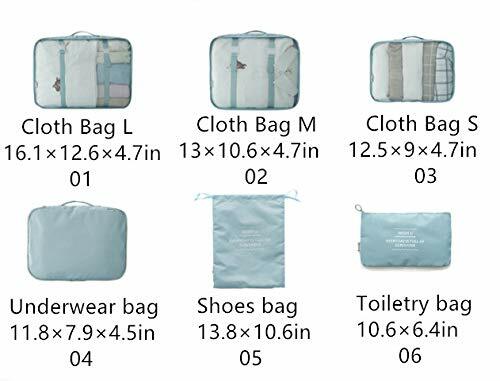 It’s got multiple pockets and has a hanger so that you can save space in your hotel room and keep it organized as you go along. I also love that it’s collapsible so that if I’m traveling with less, the bag is smaller. Unfortunately, I can’t seem to find it anywhere online for sale anymore but here’s a link to a similar one! And that’s how I make my bag clean and organized! I am also a big user of clear plastic bags like Ziploc gallon bags. I use one for my headphones, chargers, and power banks, one for my camera equipment, one for my toiletries, one for airplane essentials like compression socks, earplugs, and snacks, you get the idea. Clear bags help you pull out only what you need and avoid making a massive pill of stuff on your bed looking for one thing. Ps. No spon-con in this post. I did not receive any compensation for sharing these items with you. I just happen to use them and like them. Now, if you’re reading this packing cube PR and want to send me some, I won’t say no….